Gastroenterology is big enough to get its own acronym: GI. And we go to war against digestive tract disorders and diseases with a coordinated team of primary care providers and board-certified gastroenterologists. Our dedicated team of primary care providers tackles many common GI conditions, and when a GI specialist is needed, we partner with Minnesota Gastroenterology, who provides expert consultative and procedural care. Our primary goal? You end up with a good gut feeling. 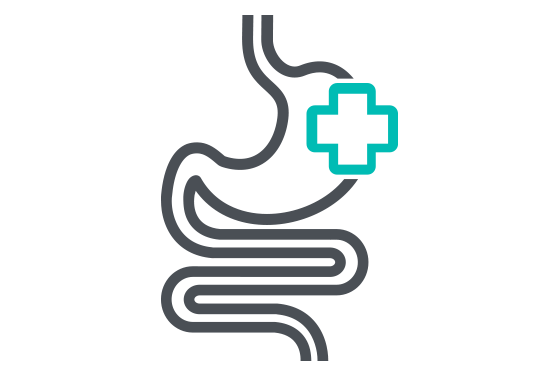 Minnesota Gastroenterology board-certified gastroenterologists—and the advanced practice providers who work with them— have expertise in virtually all types of digestive conditions, such as ulcerative colitis and Crohn’s, acid reflux disease, swallowing disorders, and liver disease. We combine knowledge and determination with state-of-the-art equipment and screening technologies, including colonoscopy, endoscopy, capsule endoscopy, radiology exams, ultrasound, high resolution manometry, and pH studies. North Memorial Health primary care providers can help you stay on top of your cancer screenings, and will work closely with GI experts when their specialized expertise is needed. That’s what we call seamless, integrated GI care. calling 763-581-5600 and following the prompts.